A factory reset will fix the problem, the company said. If you own a Google Wifi or OnHub router, you may have to do set it up all over again. 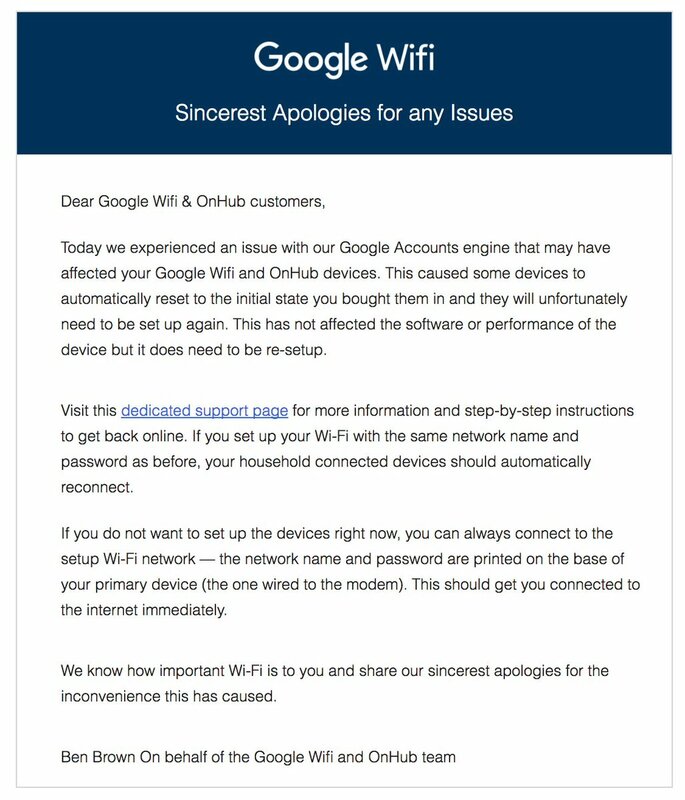 After investigating reports of faulty devices, Google released a statement to customers Thursday saying an issue with Google Accounts caused many Google Wifi and OnHub routers to reset themselves. "They will unfortunately need to be set up again," the statement said. "This has not affected the software or performance of the device but it does need to be re-setup." Hours earlier, many users had taken to forums and social media to voice their dissatisfaction and confusion. It's not a great start for Google Wifi, an otherwise excellent router that launched three months ago. It's the company's first router made in-house. The 2015 Google-branded OnHub series was made by Asus and TP-Link.